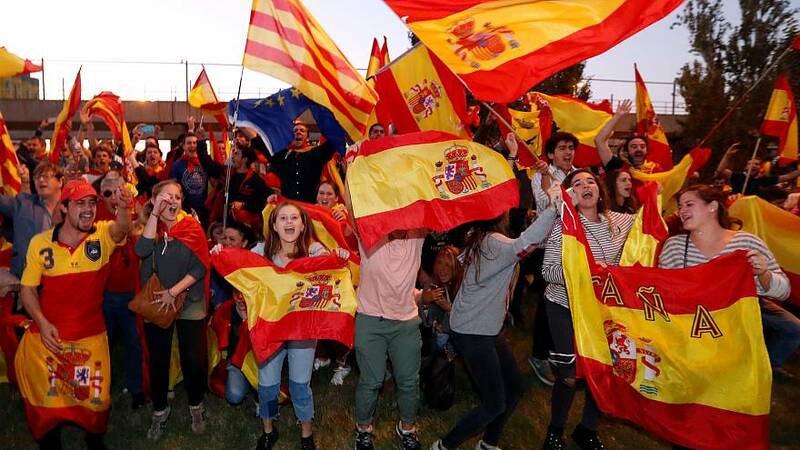 It has been called the nuclear option – Article 155 of the Spanish Constitution under which Madrid has imposed direct rule on Catalonia. It allows the government to take control of any of the country’s 17 autonomous regions if they break the law. But the legislation is vague and this is the first time that it has been activated. Constitutional Court specialist Antonio Torres del Moral, of The National Distance Education University (UNED), believes the move is sure to be challenged in the Constitutional Court. “From a legal point of view, the Catalan government will react by challenging practically all the measures that central government is taking,” he told Euronews. “In nomal circumstances, the Constitutional Court would take a year and a half to make a ruling,” Antonio Torres del Moral explained. “But, on these occasions, the Constitutional Court can make a decision in 48 hours because it is on permanent duty and gives priority to these problems above all others.